Sachet Poisoning is the accidental or intentional intake (consumption) of substances in the sachet. Fancy material including beads, ribbons, buttons, etc. The scented sachets are generally used for decorative purpose, for room freshness, as moth-repellents, etc. What are the Causes of Sachet Poisoning? What are the Signs and Symptoms of Sachet Poisoning? How is First Aid administered for Sachet Poisoning? Who should administer First Aid for Sachet Poisoning? 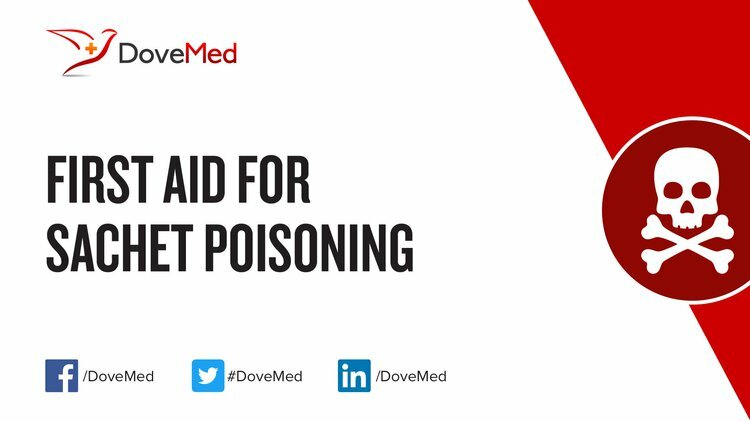 First aid for Sachet Poisoning is administered by healthcare professionals. What is the Prognosis of Sachet Poisoning? How can Sachet Poisoning be Prevented? Saito, T., Namera, A., Miura, N., Ohta, S., Miyazaki, S., Osawa, M., & Inokuchi, S. (2013). A fatal case of MAM-2201 poisoning. Forensic Toxicology, 31(2), 333-337. Das, K., Tiwari, R. K. S., & Shrivastava, D. K. (2010). Techniques for evaluation of medicinal plant products as antimicrobial agents: current methods and future trends. Journal of medicinal plants research, 4(2), 104-111. Vohra, R., Seefeld, A., Cantrell, F. L., & Clark, R. F. (2011). Salvia divinorum: exposures reported to a statewide poison control system over 10 years. The Journal of emergency medicine, 40(6), 643-650.
van Amsterdam, J., Brunt, T., & van den Brink, W. (2015). The adverse health effects of synthetic cannabinoids with emphasis on psychosis-like effects. Journal of psychopharmacology, 29(3), 254-263.